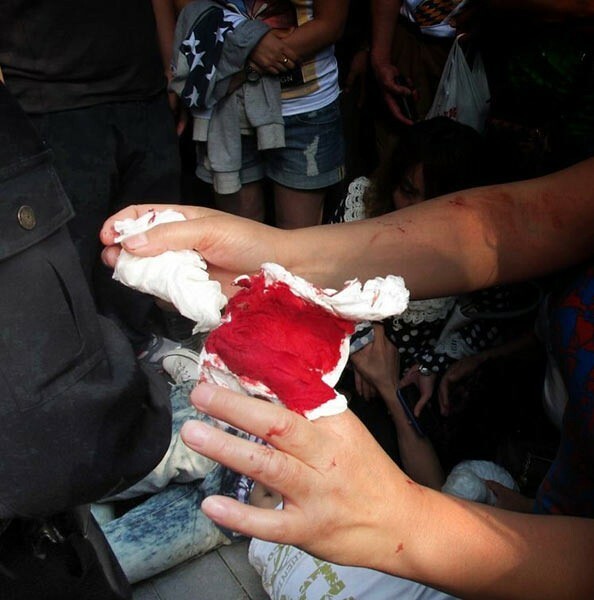 iP3: White iPhone 4 launch gone wrong in Sanlitun Apple Store in Beijing, China? 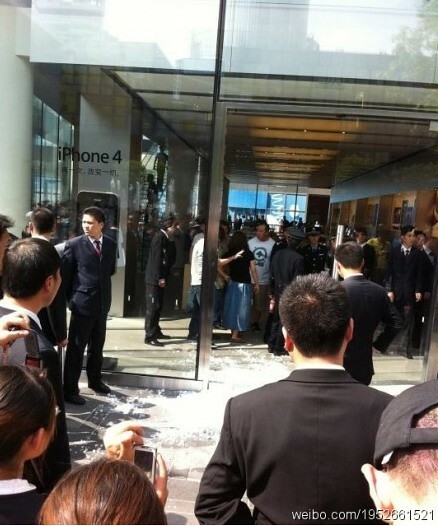 White iPhone 4 launch gone wrong in Sanlitun Apple Store in Beijing, China? 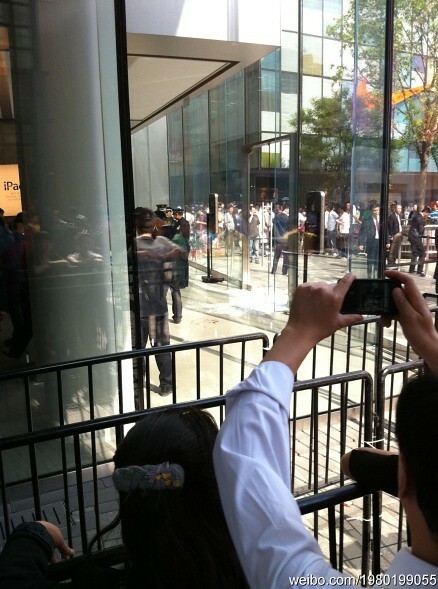 According to my friend who was at the Sanlitun Apple Store when the incident took place, there were dozens of resellers outside the store trying to get the white iPhone 4, they were told to wait in line and was not allowed to go inside. 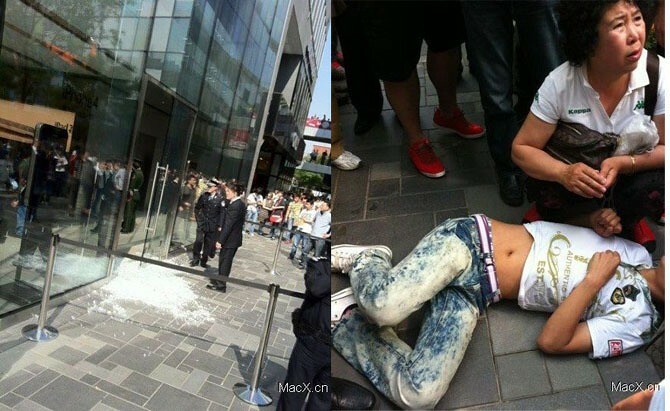 Resellers got pissed and smashed the glass door, which costs about 300,000RMB or 46,000USD, according to an apple employee at the store. Then a foreign(non-Chinese) employee came out from the store with a metal club and hit 4 people, including 2 young men and 2 middle age women. All 4 people are hospitalized right now and no money was paid by apple for medical purposes. 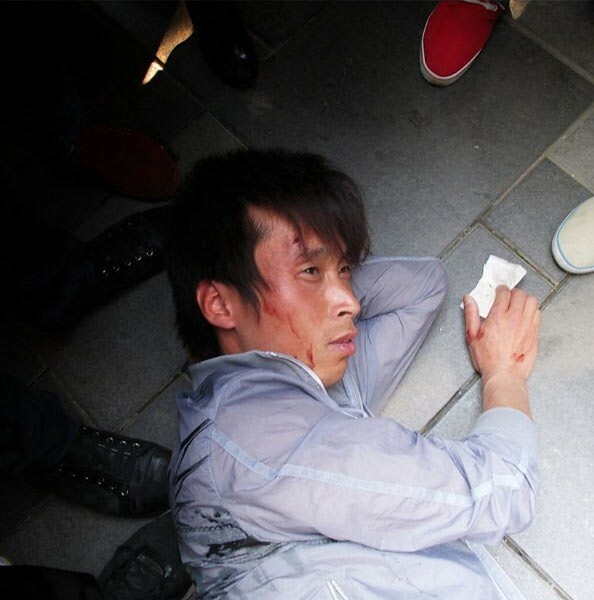 Pictures are just coming in but it appears that there was some sort of incident between “foreign Apple Store Employees” and some locals during the iPad 2 launch. Sanlitun Apple Store bloodshed, because too many people queuing waiting suddenly closed shop, where the weather is so hot multi-line Burongyia, Apple stunned party to a foreigner and a Chinese man actually hands-on, people with the scene confirmed the man was wounded also the guests lined up to buy Apple products.We look at the quality of foreigners, but also that, to earn the money we have in China is also the name of our people. We’re not sure exactly what went down but it doesn’t look too good.